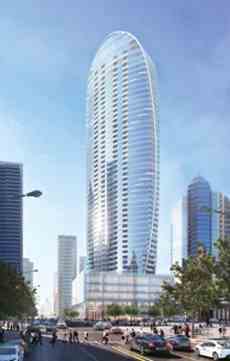 4800 Yonge Condos is a 49-Storey mixed-use residential tower situated on the southwest corner of Yonge and Sheppard. This condominium has 5-storey podium with retail and commercial space and six levels of underground parking which include space for 578 bicycles. 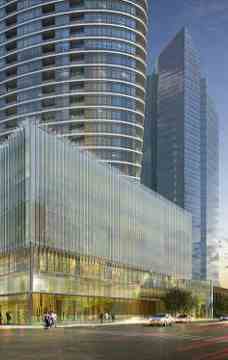 The development is designed by the New York office Miami-based multinational Arquitectonica. - Elliptical shape tower include 536 residential units. - Contain 1-bedroom, 2-bedroom, and 3-bedroom units. 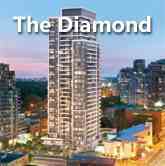 - Easy Access to the Sheppard-Yonge Subway Station. 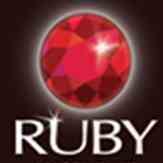 - Short Drive to the Hwy401. - Steps to the Whole Food Market and Sheppard Centre. Toronto Centre for the Arts is also within close proximity. - Walk Score of 95 out of 100. - Transit Score of 96 out of 100. 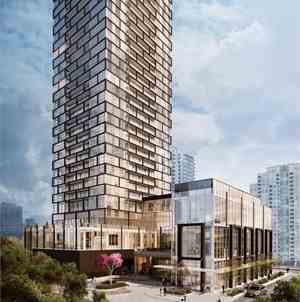 4800 Yonge Street is a condo development by Menkes Developments Ltd. located at 4800 Yonge Street at Yonge and Sheppard in North York.